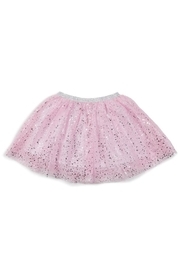 This metallic tutu skirt is going to be a major favorite for the little princess in your life. An elastic waistband and softest tulle (never stiff or scratchy!) are chic and sweet enough for any little princess. She’ll never want to take this twirly tutu off! Machine washable.